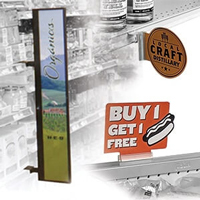 Whether you’re a small retail business looking for slatwall design ideas or you represent a chain, you should consider slatwall gondola display fixtures for your store. 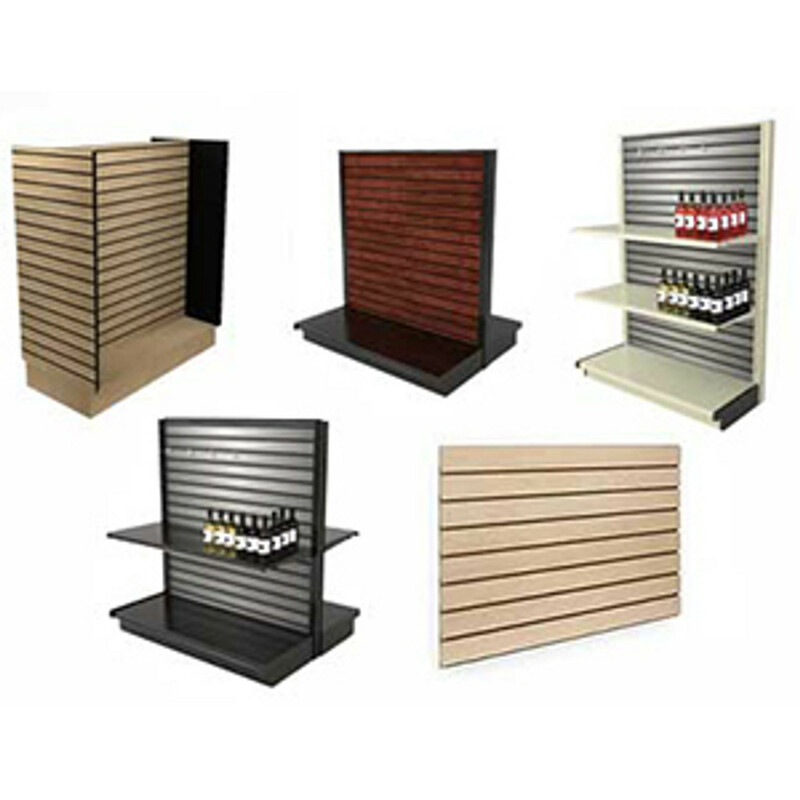 As a factory direct slatwall manufacturer DGS Retail offers wholesale pricing to the industry on wood slat wall and slatwall displays. 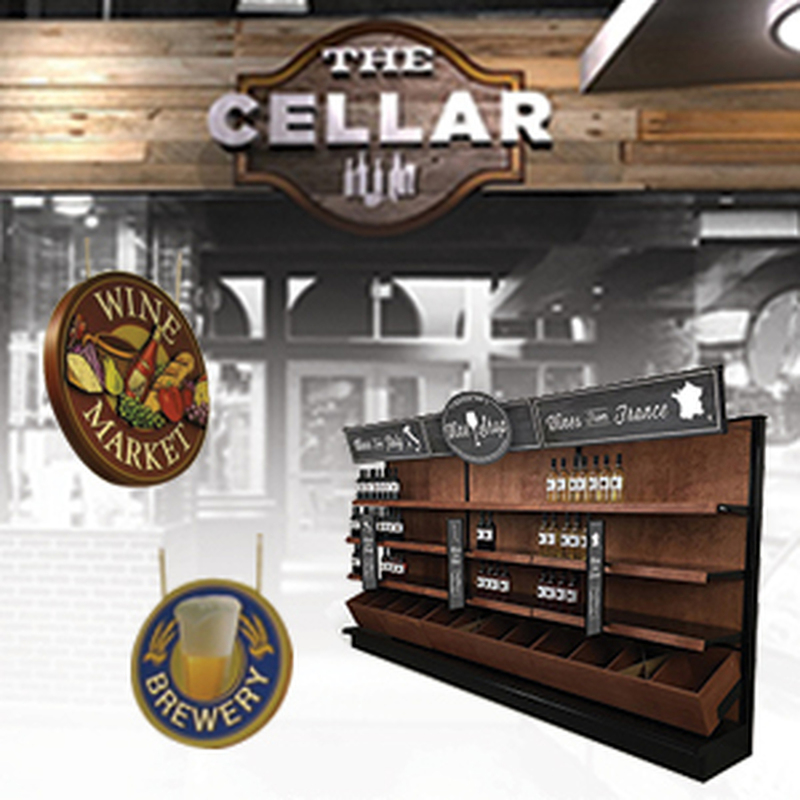 Many of our store fixture designs incorporate heavy duty metal gondola shelving with the wooden slat wall panels to create a durable retail display solution. We supply wood slat wall panels that offer strength and beauty are are more versatile than metal slatwall or extruded aluminum slatwall systems. 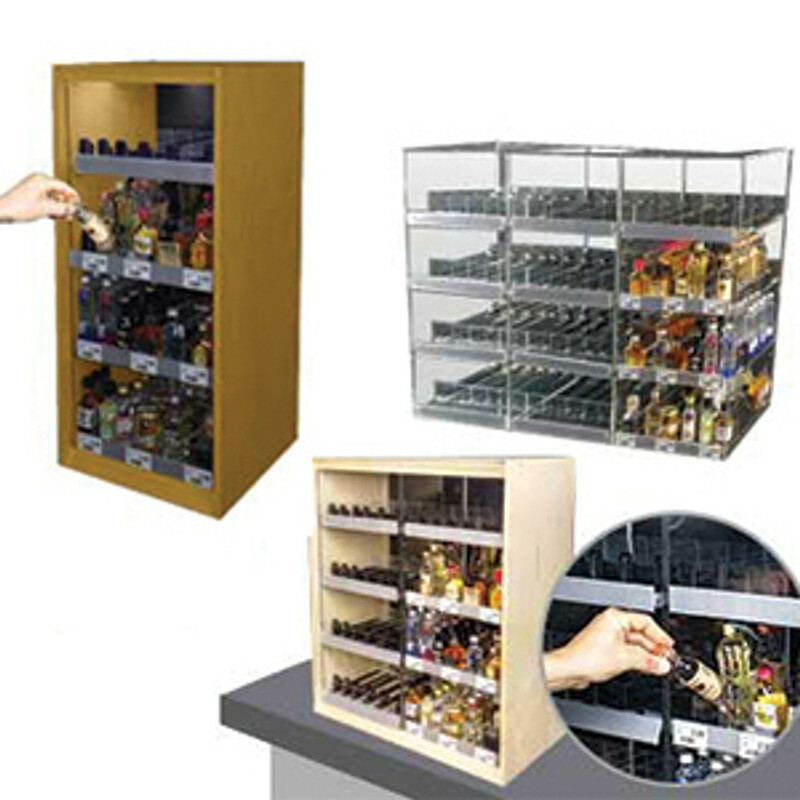 Our gondola shelving with slatwall backings is supplied with wooden slatwall panels. DGS Retail supplies MDF slatwall panels with 3” on center groove spacing. The wood panels are ¾” thick. The MDF panel core provides the greatest flexibility and excellent performance for retail applications. 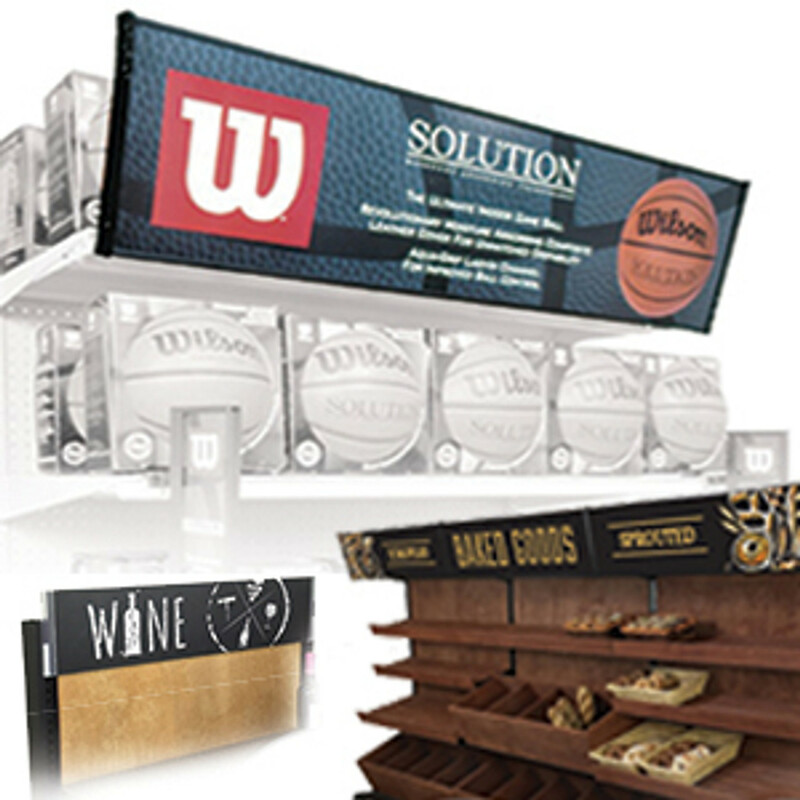 DGS Retail manufactures slatwall gondolas and retail end cap displays in various dimensions. The panels are made in the USA for quality assurance and CARB compliance. 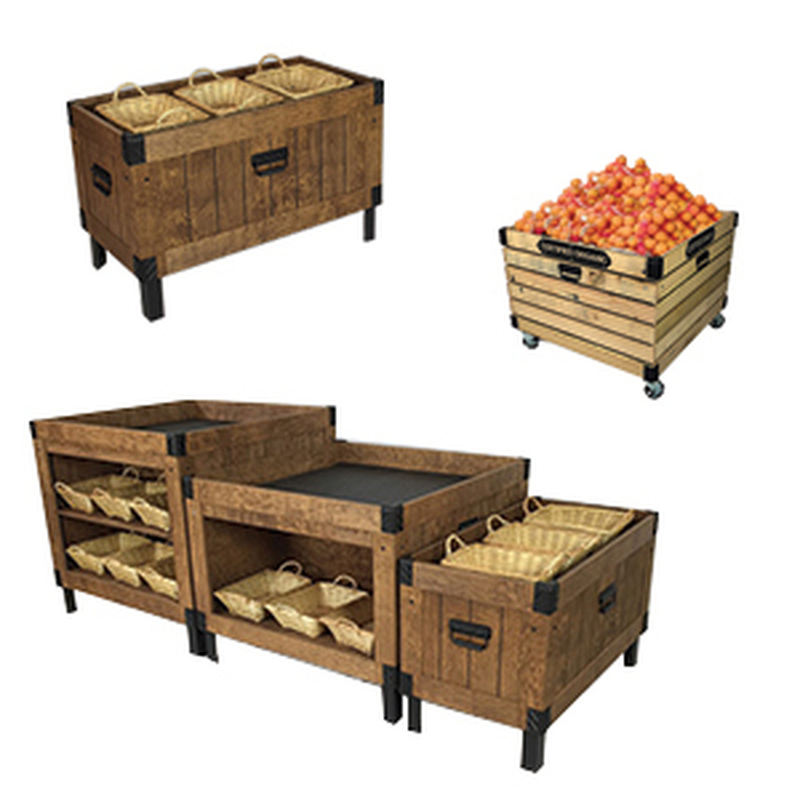 Meeting CARB standards assures you that the material you're using in your store fixtures is within government guidelines related to environmental and health metrics. The slatwall gondola display is created by adding the high quality wood panel to a solid steel metal gondola shelving unit. 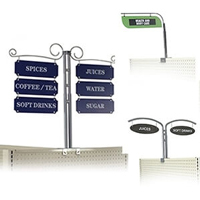 This allows the display to support heavy loads. 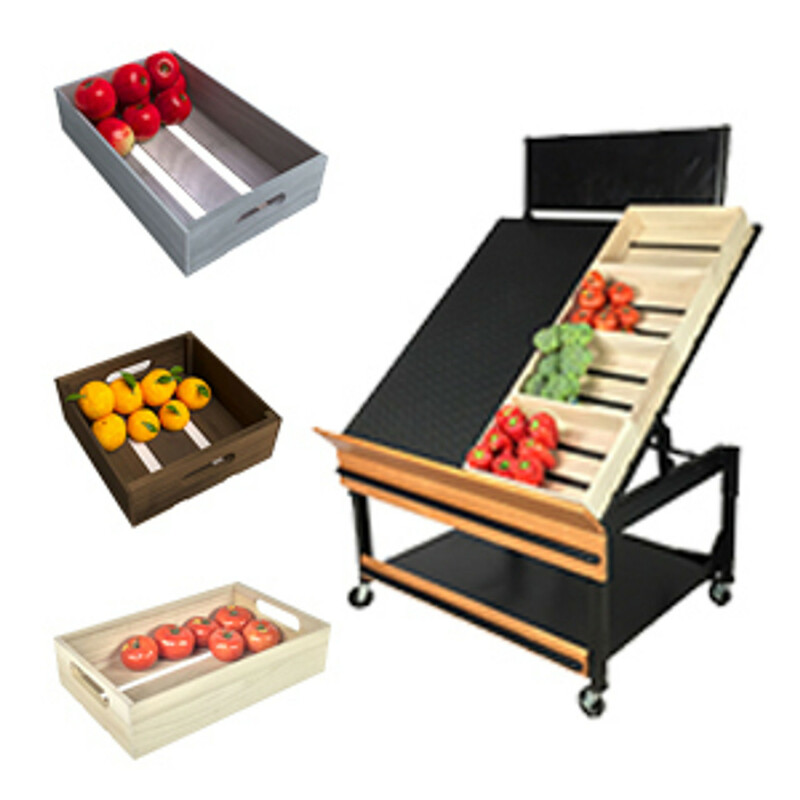 Our slatwall gondola shelves can support 300 lbs each for load capacity. 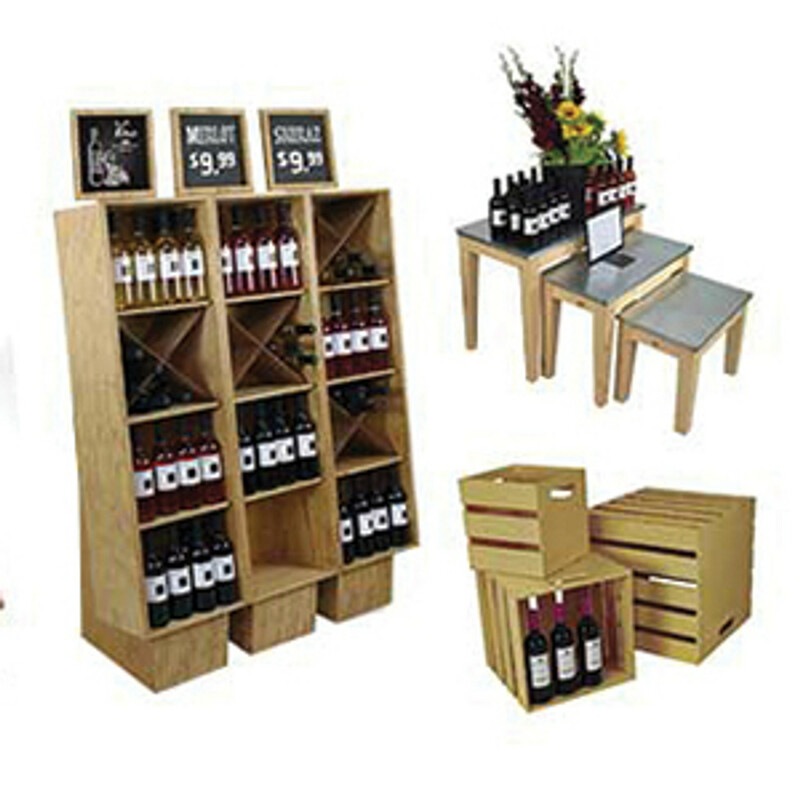 This makes an ideal retail display shelving system with a wide variety of uses. 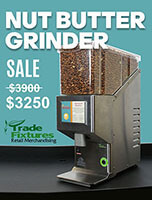 DGS Retail offers slatwall gondola for sale at wholesale prices. 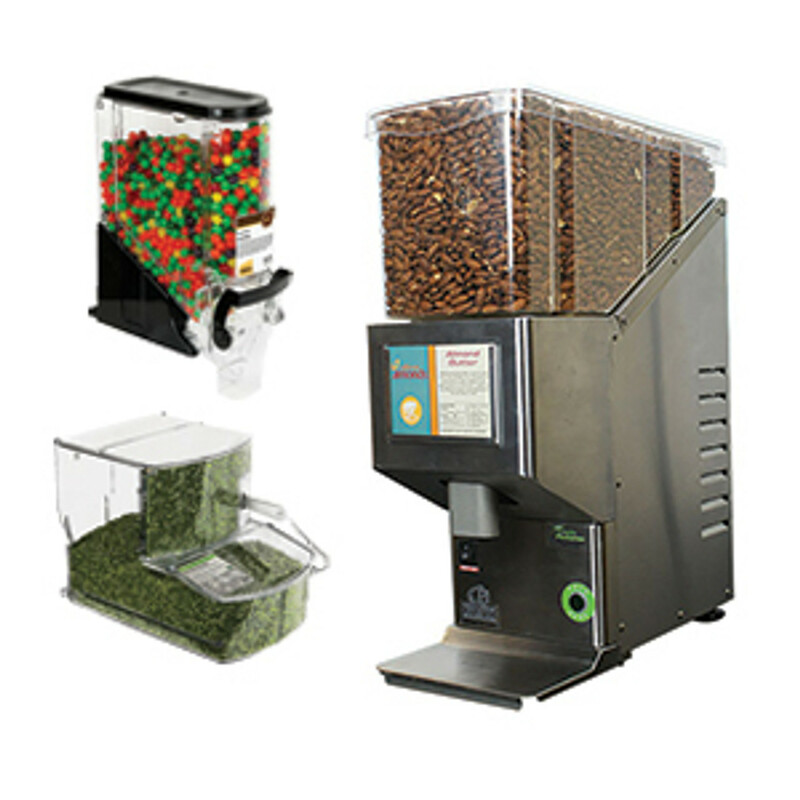 We manufacture in bulk and have a large in stock selection. Our in stock selection consists of birch veneer slatwall that can be custom stained from your choice of over 30 premium stain colors. Using this low cost material we can simulate oak, red oak, white oak and maple slatwall in addition to all the other woodgrain colors we sell. Looking for a rustic slatwall fixture? We’ve got a finish for that. Our instock options include black melamine slatwall, white melamine slatwall, gray, swiss almond and brushed aluminum. If you’re wondering how to paint slatwall panels, DGS Retail offers paint grade or paint ready slatwall panels too. Need a slatwall installation cost? 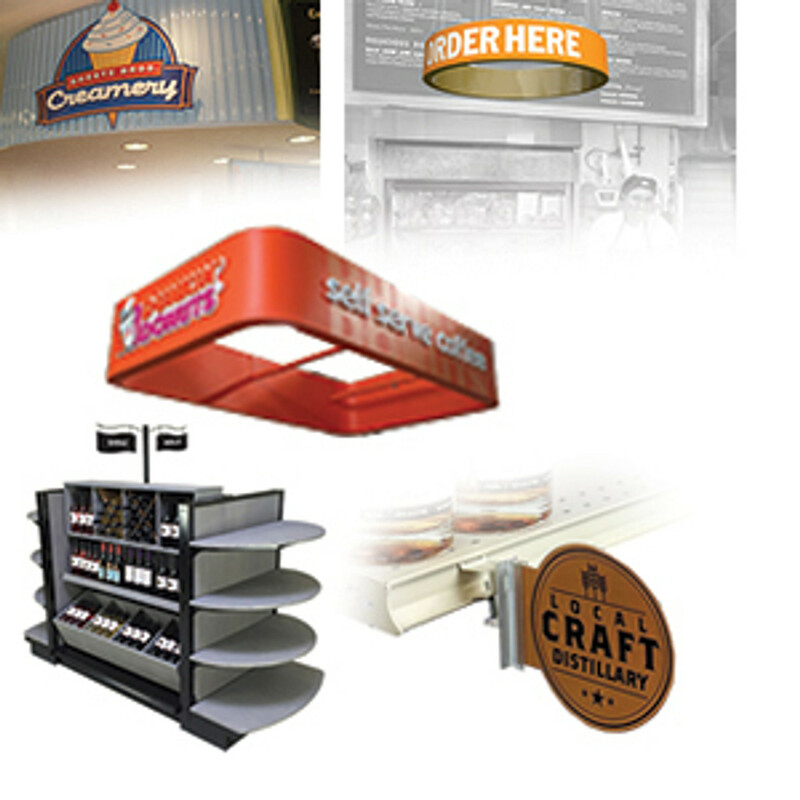 Let DGS Retail quote your project or help you develop design ideas. The project isn't complete without slatwall accessories. 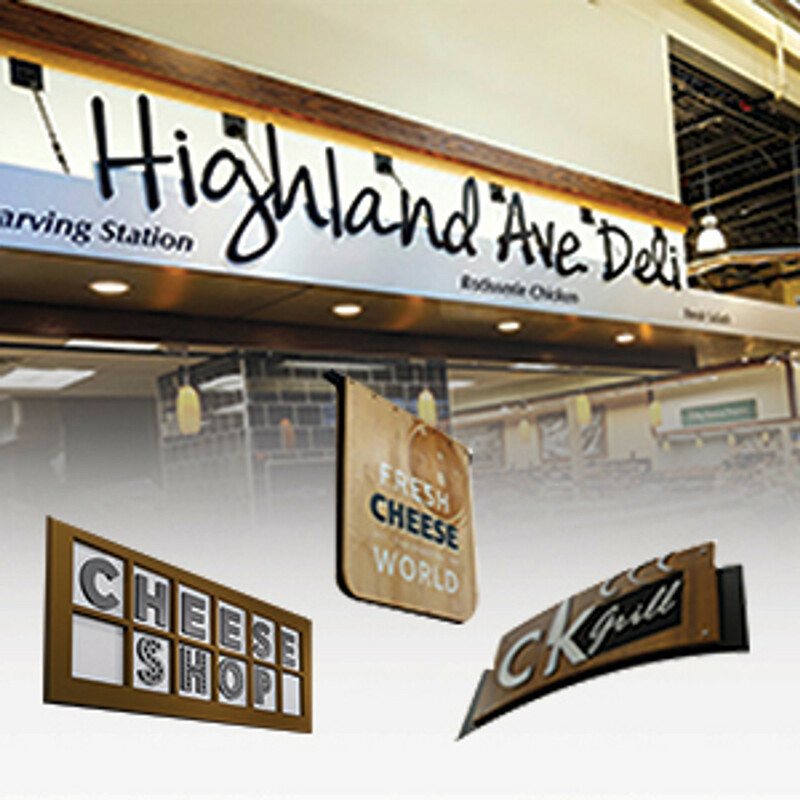 As a direct manufacturer, DGS Retail supplies aluminum reinforced slatwall channels, vinyl groove trim inserts and various slatwall parts and accessories. These can be used to complete your perfect slatwall display idea. 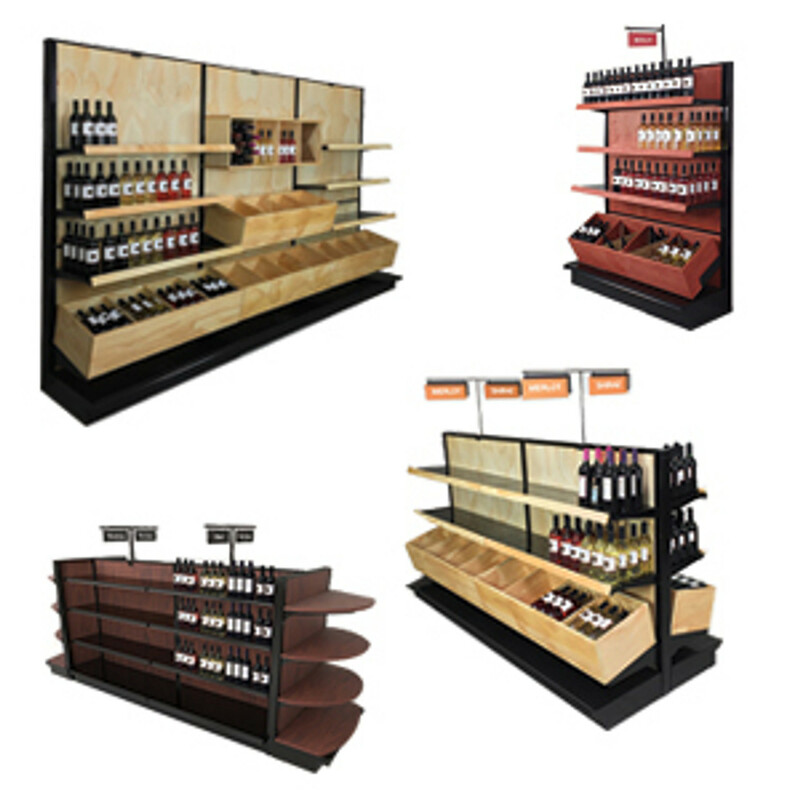 Choose from a wide variety of slatwall display cases and stands. 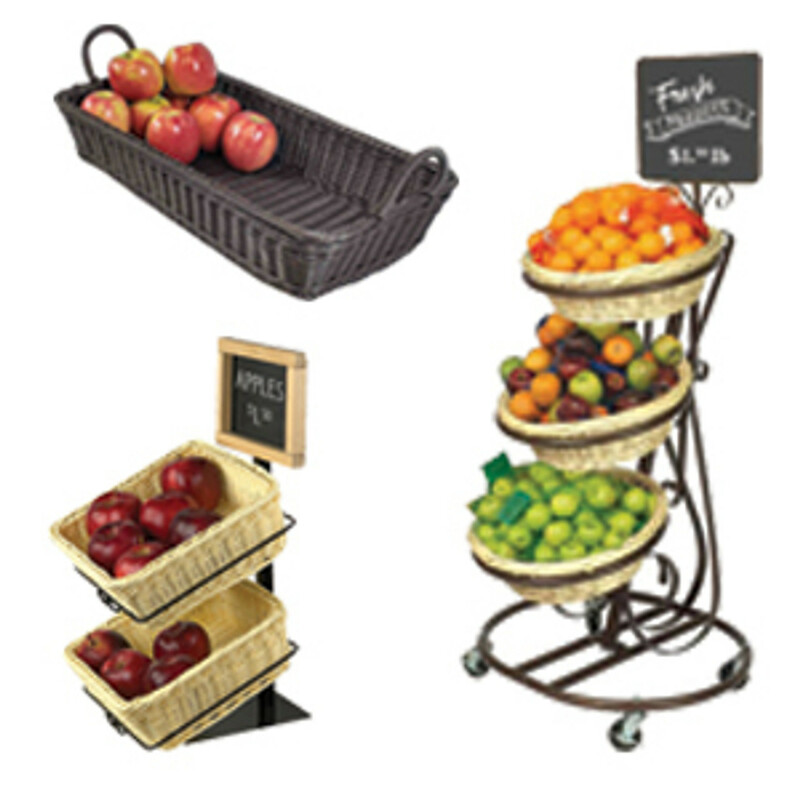 For a compact retail island display, try an H gondola, 4-way display, T gondola or a double-sided unit with end caps. The double sided gondola units are sold in starter and add-on units. 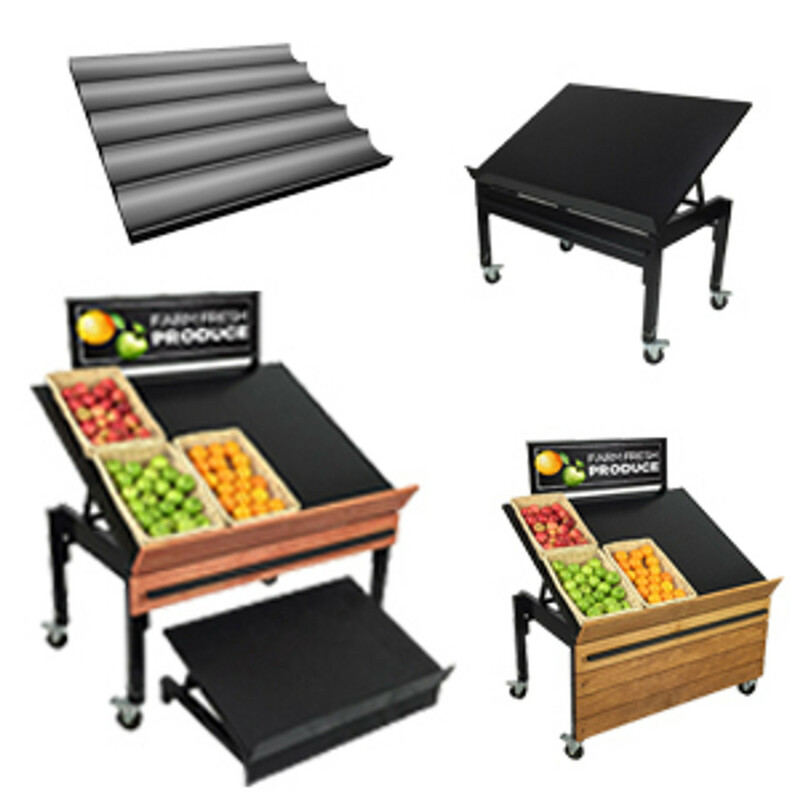 This allows creation of almost any size store aisle configuration. 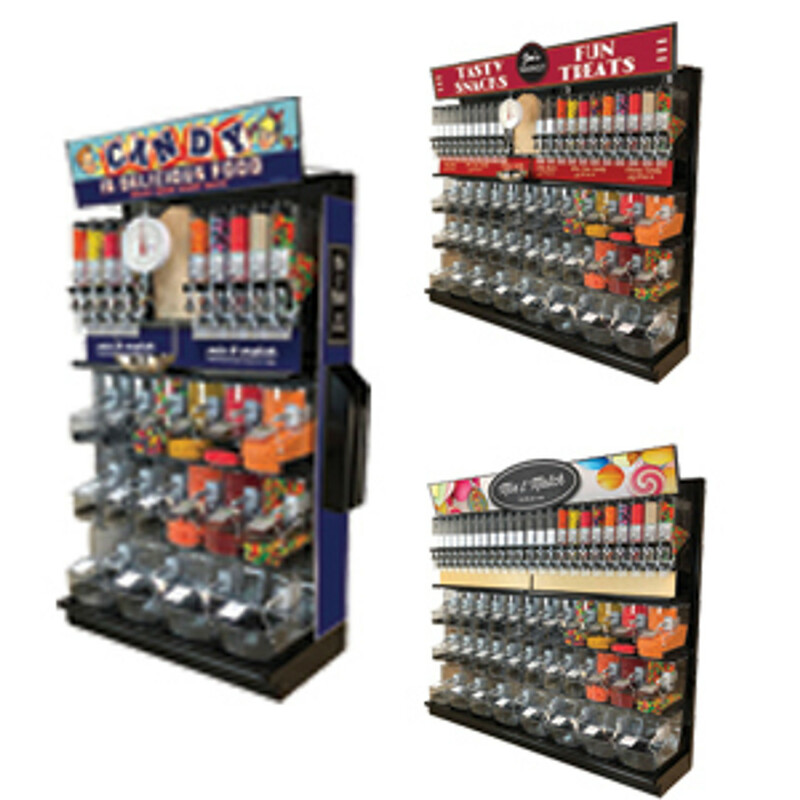 For retail wall displays use our single sided slatwall gondolas. 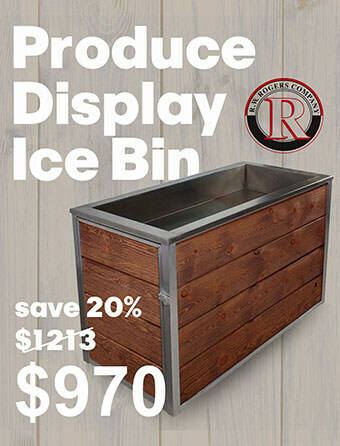 They are designed to be placed along a wall and are also sold in starter and add-on units for convenience. These are freestanding and can be used to build tall slatwall towers as well. 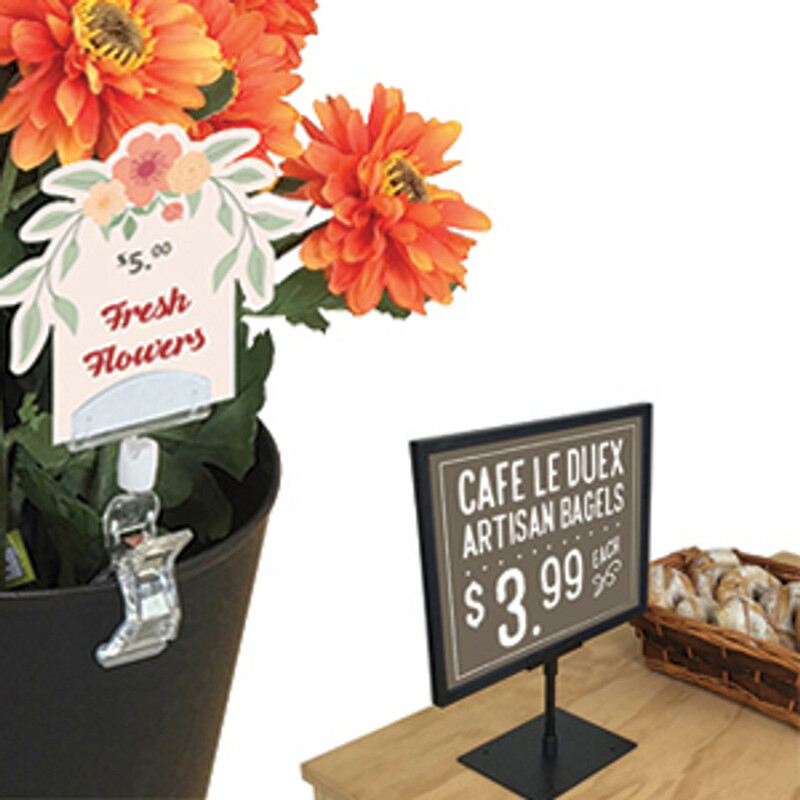 DGS Retail has an extensive assortment of retail sign holders that can be used to make a slatwall point of purchase display. 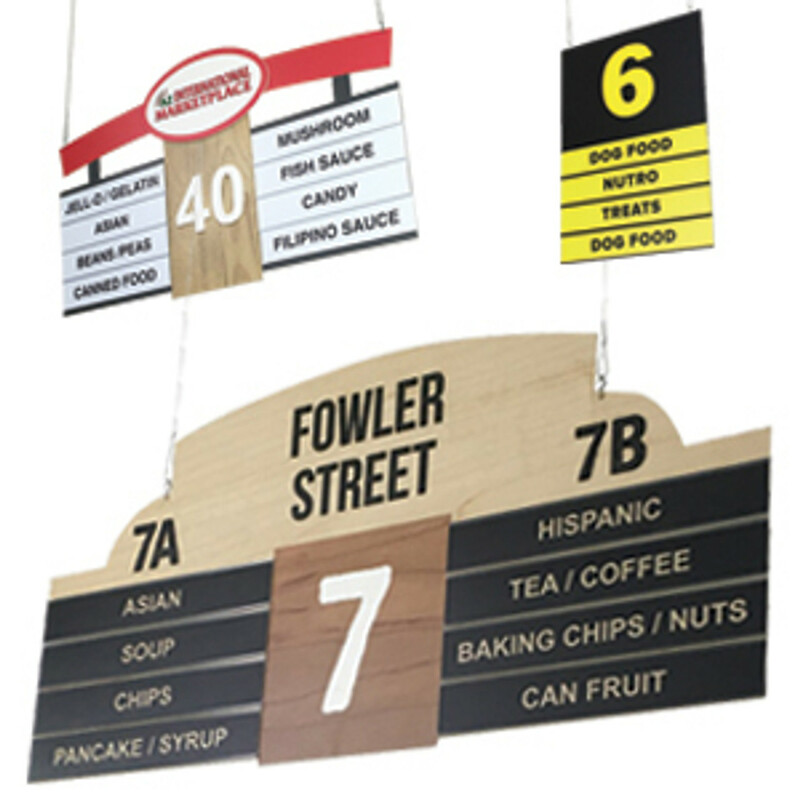 These are headers or topper sign frames used to create a valance above your display as well as individual sign holders that hang in the slat or groove next to your product. 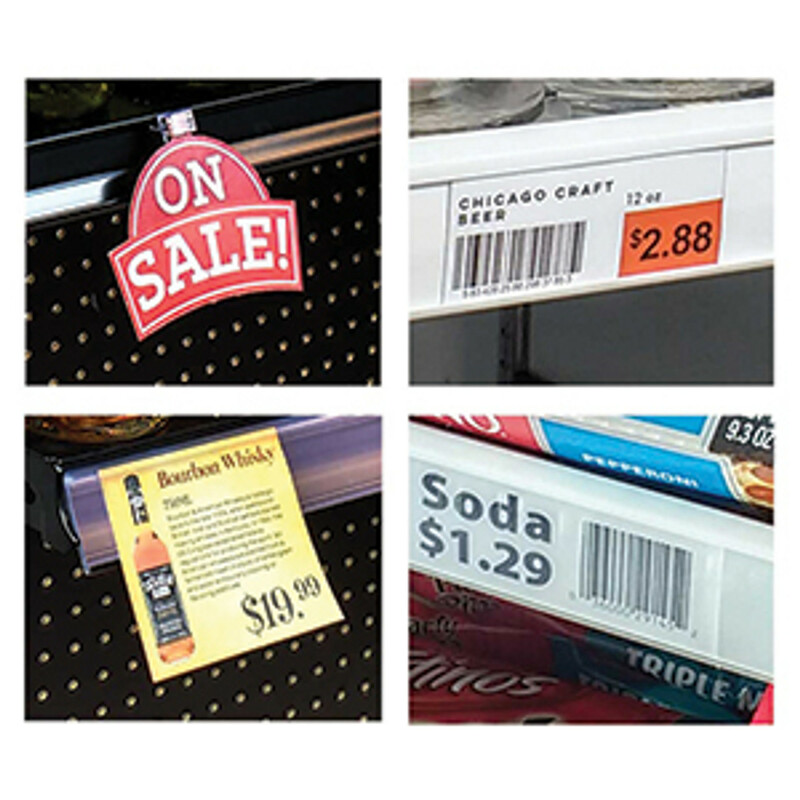 These are generally used for price signs or product information signs.